24 Hour kicks off this year on 9 April. San Fran, DJ Bill E, Richter City Rebels and Tuatara invites you to celebrate the end of 2015 with two distinct shows under the one roof. A way to start the evening and a way to start the New Year, a place to base yourself for the whole night if you like. First there’ll be an intimate set on the floor from the Richter City Rebels, aiming to take you back to the Mardi Gras on Frenchmen Street and beyond. There’ll be toes a tappin’ and hips a swayin’ with the 9-piece Wellington band combines funk, soul, R’n’B, hip-hop and jazz in a refreshing modern take on the traditional New Orleans second line. 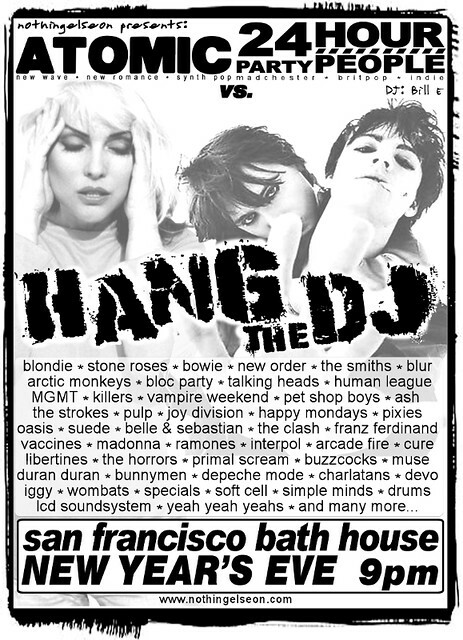 And then, from 9pm it’s the New Year’s Eve San Fran Institution: DJ Bill E’s legendary Hang The DJ showcase. So make the San Fran your New Year’s Eve destination. Doors open at 6pm and food is available. Richter City Rebels will start to blow at 7.30pm. Then it’s DJ Bill E from 9pm on through until 4am on the morning of January 1, 2016. For the Hang The DJ set it’s $20 on the door from 9pm. 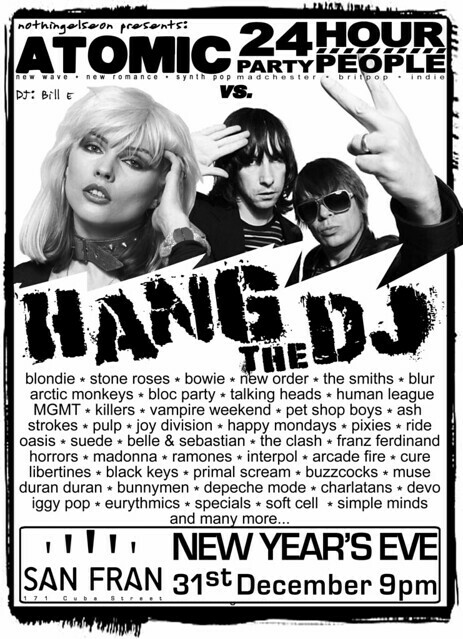 Bill E’s Hang The DJ set has been a popular New Year’s Eve event across the last decade. He’s no stranger to Wellington audiences with his regular Atomic and 24 Hour Party People club nights. 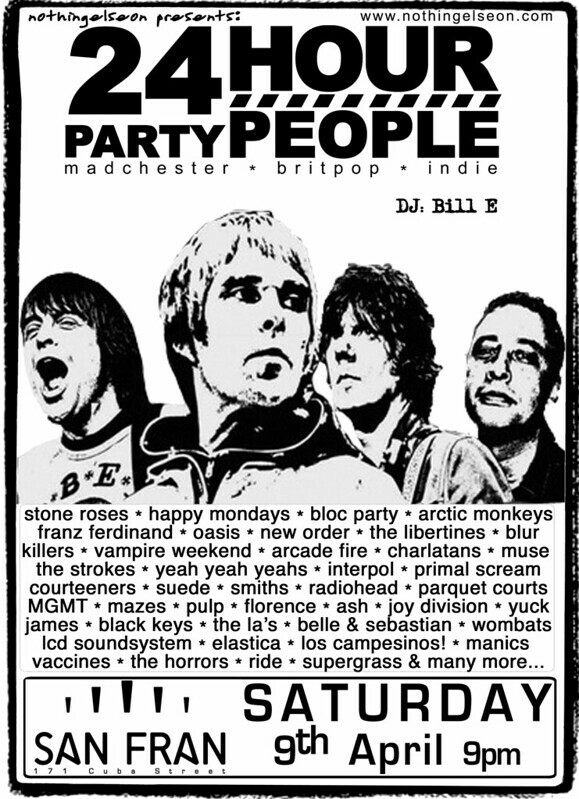 With great live music that takes in jazz, funk and soul and then on to Bill E’s wise curation of all the shining moments from post-punk and nostalgic synth-pop gems this is the right way to say farewell to 2015 and bring in the New Year. Check out sanfran.co.nz and the San Fran on Facebook for further details. 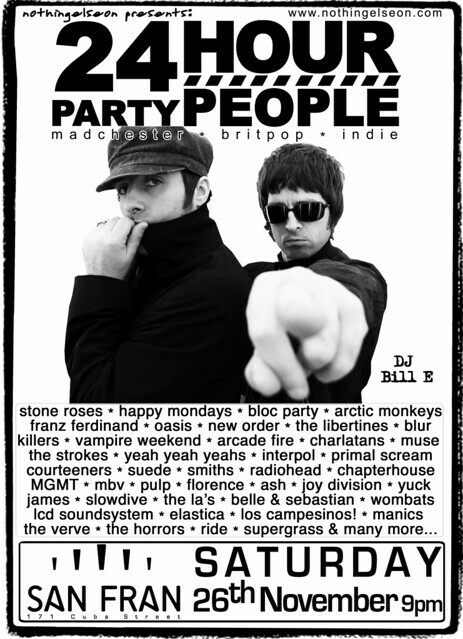 Yes folks, returning for the 6th time, Hang the DJ is back on New Year’s Eve to see you into 2012 in fine style. See you there! See him in Feb @ Bodega, folks! Cribs tour NZ – more info from Coup de Main here. 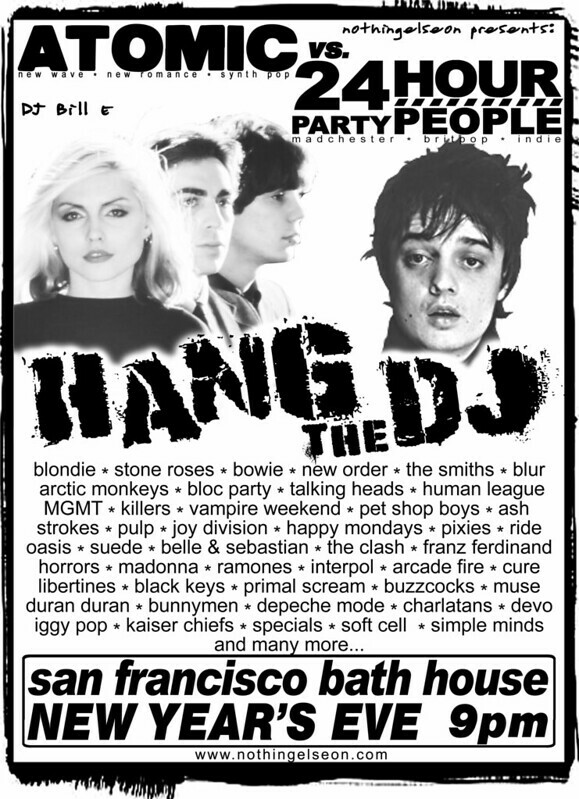 Yes folks, Hang the DJ returns to the San Francisco Bath House for New Year’s Eve – a night of the best of both worlds from Atomic & 24 Hour Party People. Kick off is at 9pm & we’ll be going til you go home!